petition: Just say “Know.” Ver traducción al español abajo. Just say “Know.” Ver traducción al español abajo. 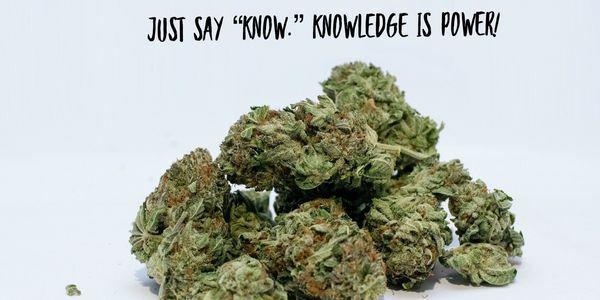 Just say "Know." We demand our legislators to look carefully at all of the angles and potential ramifications of normalizing, commercializing and legalizing recreational marijuana. We find the legitimate, peer-based scientific studies and clear evidence from states that have already normalized, commercialized and legalized marijuana for so-called recreational purposes to be alarming. We insist and ultimately want to be assured that our legislators have carefully weighed out the true costs of such a move toward legalization before changing relevant laws. Please sign, extensively share this petition and know that numbers DO count. May we count on you? Solo diga "Saber" (Just Say "Know"). Exigimos a nuestros legisladores que analicen cuidadosamente todos los ángulos y las posibles ramificaciones de la normalización, comercialización y legalización de la marihuana recreativa. Encontramos que los estudios científicos legítimos y la evidencia clara de los estados que ya han normalizado, comercializado y legalizado la marihuana para los llamados fines recreativos son alarmantes. Insistimos y, en última instancia, queremos estar seguros de que nuestros legisladores han evaluado cuidadosamente los verdaderos costos de tal movimiento hacia la legalización antes de cambiar las leyes relevantes. Por favor firme y comparta esta petición. También planee unirse a nosotros. Por favor, sepa que los números sí cuentan. ¿Podemos contar con usted? Hearings in Connecticut begin this coming Friday, March 22, 2019. Please redouble your efforts to get as many people as possible to sign this petition before then. Email the link, share on FaceBook, etc.! Thank you for your efforts! If you are able, it would be great to see you up at the Capitol on a Friday! With respect to privacy, this site can only legally reveal your name, town and the comments that you may have added. That’s understandable! Very soon though, we will need to contact you with very short notice messages! Legislation for legalization of marijuana is being drafted RIGHT NOW! Things will happen fast! If you desire to be updated and know what you can do to help, please send your textable phone number (preferably) and /or an email address to potrealitiesct@gmail.com. THANK YOU! Thank you once again for your support. Now that we know that this online petition works, it’s time to shift our efforts into a much higher gear! We are 1 short of 100 signatures today. We want to raise that to AT LEAST 500 by this time next Monday. Can you help us by sending the link to this petition to at least 5 friends who care enough about the legalized marijuana threat to make their voices heard along with yours? Thank you for signing the petition! You may have caught us on WSFB Or WTNH up at the Capitol Press Conference. The battle is heating up!